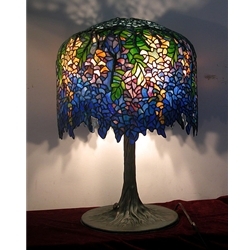 This lamp is made with high quality stained glass such as Uroborus, Bullseye, Youghioghery. The lamp has a solid bronze base. There are 4 finishes available.